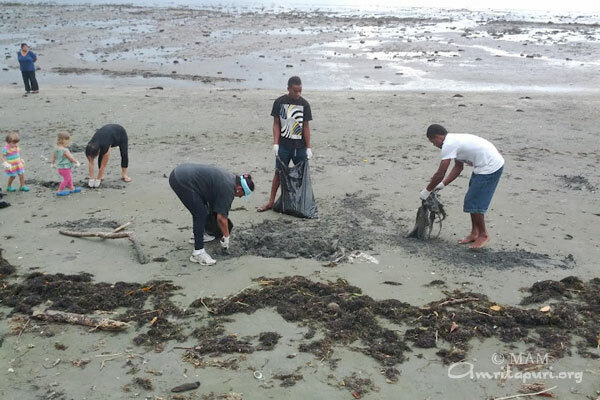 The first of Amma Fiji’s Green Friends initiative in 2012 was a beach clean up along the Suva Sea Wall. 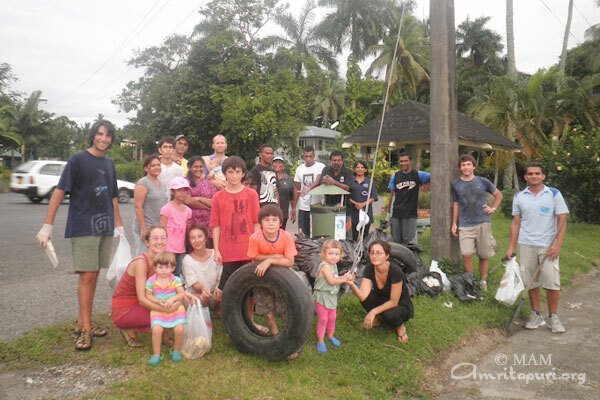 Over 30 participants, including expats and locals of all ages participated. 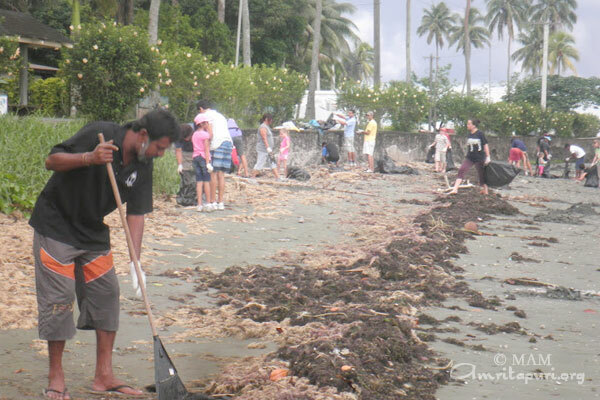 Everybody worked cheerfully and even few people passing by joined in the cleaning work. 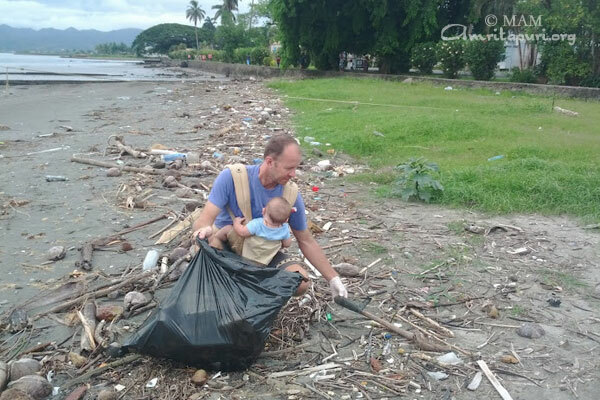 The group picked up hundreds of plastic bags and bottles, pieces of foam, and even some tires. Some of the rubbish had been there a long time as it was a real struggle to dig it out. 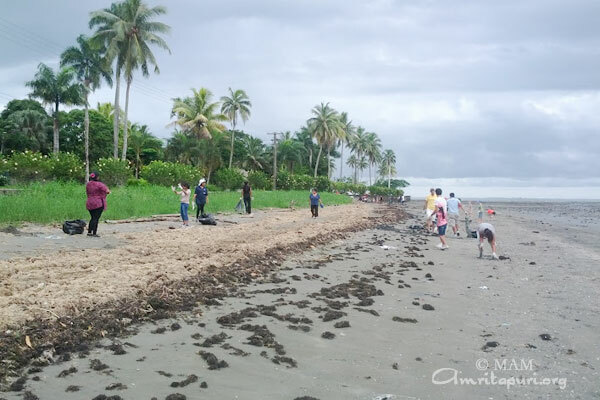 In the end, around 60 bags of garbage was picked up, and they managed to clean two beaches in two hours. 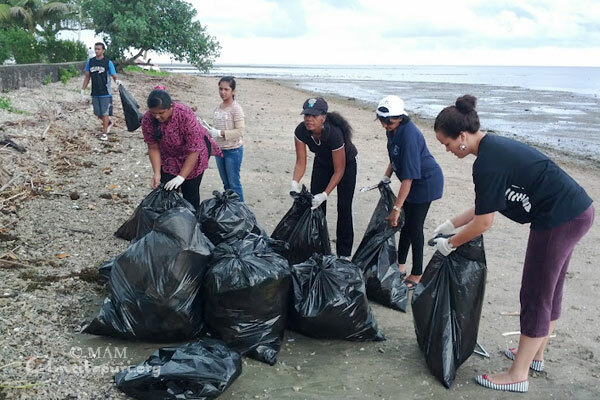 Inspired by Amma’s words, “It is our Dharma to take care of Nature”, Amma Fiji is planning to do other Green Friends activities throughout the year, such as holding workshops on composting and recycling waste.